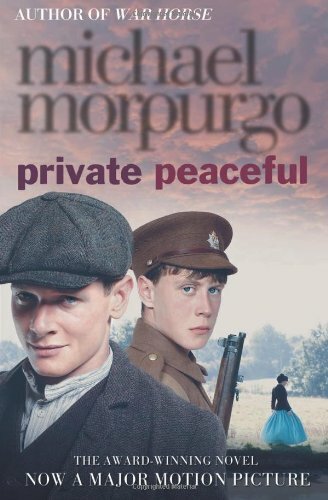 Private Peaceful by Michael Morporgo. Tommo has never been outside his small countryside village. He’s lived a happy life. unexpectedly this all changes his father dies. He blames himself for this even though this isn’t his fault. In school he’s quick to make friends with a young girl named molly, Tommo’s brother Charlie soon joins the small circle. Little does he know that this circle will last a lot longer than he may expect or expected. This friendship drives them through tough times and what at first burned bright now is just a few embers. Charlie, Tommo’s brother and Molly are courting and haven’t told Tommo yet. On top of this the war in France isn’t doing to well. Teen Rating: a very different book. 2/5 . 12 + .